All of my reels have a simple non-adjustable click that is biased for either right or left hand wind. 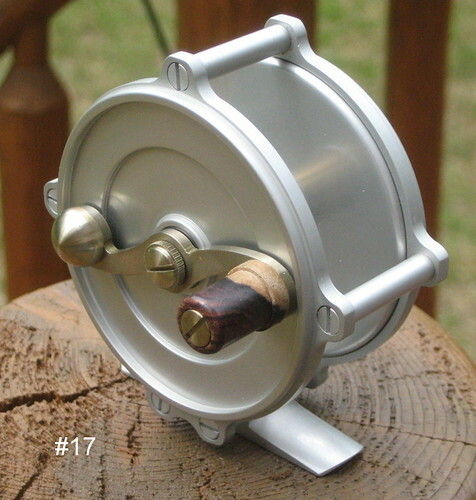 Reel #67, bronze frame and anodized aluminum spool, for WF5F line. 5.3 oz. 3.0 inch over pillars. Reversible RHW/LHW. 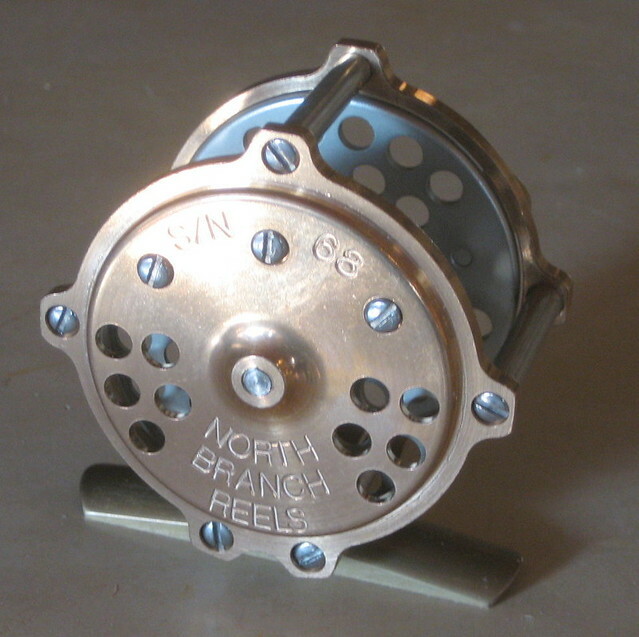 Reel #68, bronze frame and anodized aluminum spool, for WF3F line. 4.6 oz. 2.5 inch over pillars. Reversible RHW/LHW. 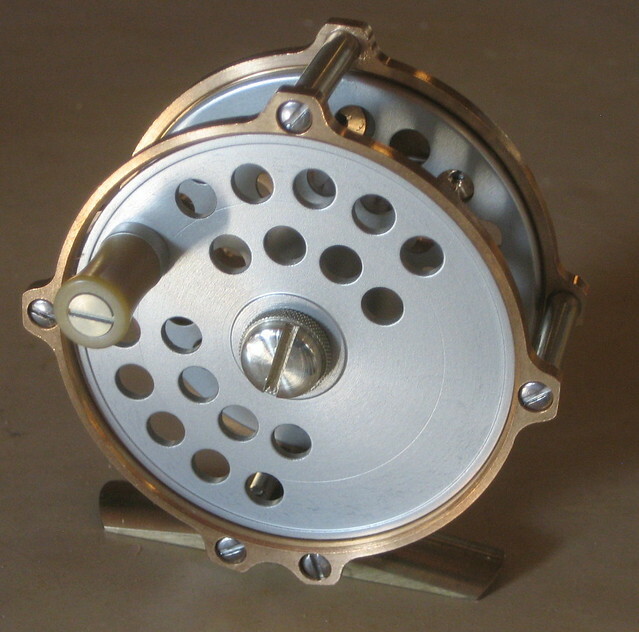 Reel #17, anodized aluminum frame and spool, for WF5, 6 or 7F line. 4.8 oz. 3.25 inch over pillars. Fixed RHW. All reels are $400, plus shipping in a USPS Medium Flat Rate Box ($14 as of Aug 2018). 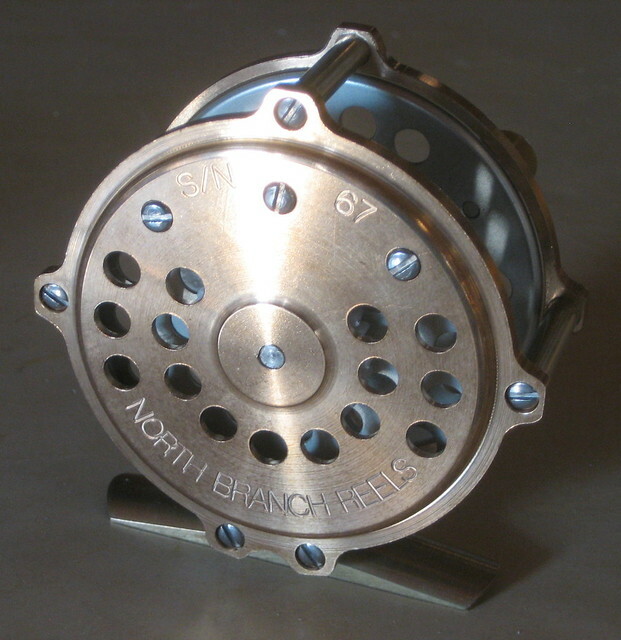 Custom engraving is available for custom ordered reels. Contact me if interested (see “Contact” page of blog). 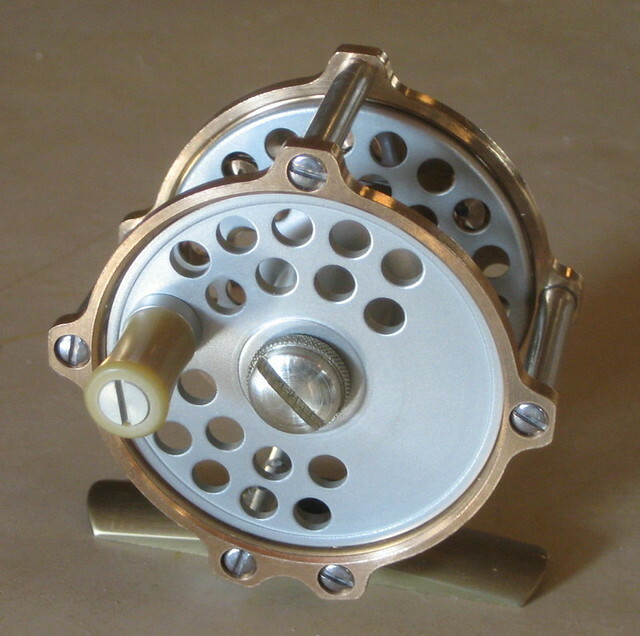 All reel feet are 2.50 inch, exactly to the AFFTA standard. If you need something longer/shorter for a particular rod, we can discuss.